Some of you might have been wondering when the ebook edition of Petra might become available epub (i.e., non-Kindle) format. Wonder no more! 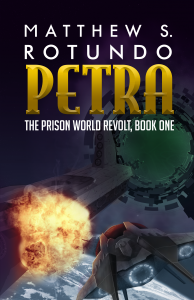 Petra is now available in your most popular ebook outlets, like Barnes & Noble, Kobo, Smashwords, and more. You can even find it in the iTunes store. And of course, if Kindle’s your thing, we’ve got you covered there, too. And so I continue to build my nefarious media empire . . .